Successful Entrepreneur Business Woman With Online Sales And Parcel Shipping In Her Home Office, Prepare Parcel Box Of Product For Deliver To Customer. Lizenzfreie Fotos, Bilder Und Stock Fotografie. Image 116524699. Standard-Bild - Successful entrepreneur business woman with online sales and Parcel shipping in her home office, prepare parcel box of product for deliver to customer. 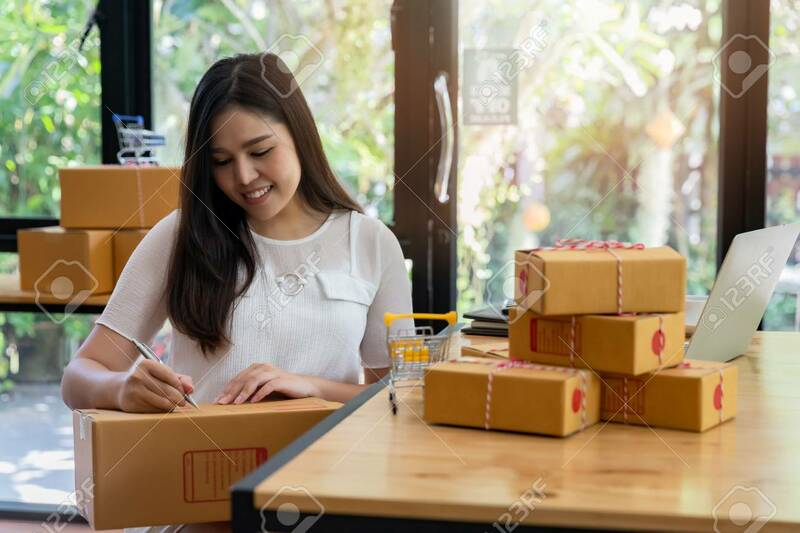 Successful entrepreneur business woman with online sales and Parcel shipping in her home office, prepare parcel box of product for deliver to customer.